What if school had something consistently going on that genuinely made kids and parents want to go and actively participate in their school community. 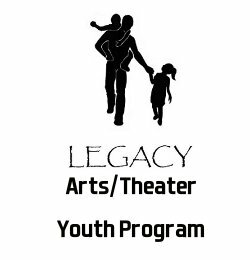 Visual and performing arts programming provides an equally important motive to increase attendance for parents and kids. According to Jean Hendrickson, principal of an Oklahoma A+ school, when visual and performing arts programming is going on in her school “…teacher and student attendance goes up, parent engagement goes up and there’s evidence of creative in depth learning displayed in performance and presentation.” When a production of any sort is being prepared kids feel as if they’re needed, they feel important, they feel responsible for putting on a great show. Having an identified, common goal to work towards helps overall social unity. When a visual and performing arts production or presentation is being prepared every person involved is regularly identified as a valuable part of the team whether backstage on stage, making the stage or just being apart of the audience. What is great about visual and performing arts is the fact that everyone can find a comfortable place to express themselves and be genuinely valued for it. Visual and performing arts provide mediums of positive emotional expression that once learned can be used throughout ones lifetime. As humans we all know that it is unrealistic to say that people shouldn’t or wont get angry, won’t disagree with each other, or have feelings of jealousy. What is important is that they are expressed the right way. If a student has had consistent practice in articulating their needs and positively channeling their emotions, it would indeed decrease the opportunity for classroom disruptions of negativity and violence by large proportions. To most kids going to school, is being forced to complete a pre-planned experience of uninteresting activities for the benefit of their future. At least that’s what adults tell them. However telling a kid this, doesn’t have the effect the adults telling them think it has. Kids are naturally sponges when they’re in their school careers. However the part of the kids brain that processes information, the frontal lobe isn’t completely developed. In fact it doesn’t stop developing into a person is 25 years old. The frontal lobe is the place in the brain where higher mental faculties take place. Thus, since the frontal lobe isn’t completely developed (the student) it does not function the same as one that is completely developed (the teacher). Meaning when kids go to school there not thinking of the benefit school will have on the rest of their lives. Kids live in the now! And their attention goes to whatever provides them the most positive stimulation. So even if students are in the classroom and no one is arguing and no one is fighting, in fact there bubbling over with excitement just from being in an environment made up of their peers, teachers know that they are actively engaged but are they engaged and learning. Also those same excited students have also been raised in a highly stimulating digital age environment, where sounds and images change every 25 to 30 seconds. Rapid stimulation fosters a need for more rapid and potent stimulation and crates an ever expecting need for the next best thing. Therefore expecting students to thrive in a monotonous environment is unrealistic and almost sabotaging. It is a known fact that no one is great at everything but everyone is good at something. So only teaching a curriculum catered to one style of learning isn’t beneficial to an entire school community. A well rounded education should consist of exposure to multiple styles of arts infused learning, so that every student has fair chance at personal success.